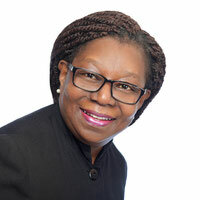 Prof. Rose Baaba Folson Ph.D.
Target: Public and Private Sector Organizations. Goals: To assess, train and support Institutions, Government, Community Organizations, Corporate Companies and their staff at all levels to become responsive, accessible, accountable and equitable. To facilitate organizational change and ensure your organization is in compliance with key legislation including employment equity, harassment and discrimination. Teaching people cultural knowledge is an important instrument for bridging differences and thus, a vehicle, among many, to enhance equity and peaceful social cohesion. We need a way of approaching diversity in Germany that avoids stereotyping while advancing cultural richness, recruiting, retaining and honoring a world-class labour force. Many practitioners prefer multi-cultural to anti-racist/oppressive/gender equity approaches, which often lead to basing explanations on cultural differences instead of deploying analysis of imbalanced power relations that lead to socio-economic disadvantage. In the professional world we are expected to make predictions about performance and the character of potential workers and co-workers. This procedure requires us to apply general knowledge to specific situations, however, very often, what we perceive and what we have internalized as „knowledge“ is widely accepted misinformation. Conversely we make important decisions and draw vital conclusions based on misinformation = myths and stereotypes. A shift from this position will involve a serious and effective move to embrace cultural diversity, coupled with anti-racist/oppressive/gender equity education. This will mean moving away from cultural standardization. We need to move beyond the development of „cultural awareness“, „multicultural approaches“ and a widespread false concept of achieving equity by „treating everyone equally“, to foster and maintain inter-actions based upon mutual respect, dignity, an understanding of human/women’s rights, social justice and create and maintain an environment, which is truly fair and equitable, and conducive to advancing progress and prosperity. to identify and develop personal and organizational strategies to positively impact relationships, organizational goals and enhance human resources. Prof. Rose B. Folson Ph.D. Professor Barnes-Drummond is currently an Adjust Professor at the School of Adult & Continuing Education at Barry University in the U.S.A. She also worked as a Social Worker in Canada for the past twenty (20) years and a Diversity consultant for public organizations including federal government departments. She is in her last phase as Doctoral Candidate at OISE/UT (Ontario Institute for Studies in Education/University of Toronto. Her research is focused on “Diversity in Labor Management”, where she looks at diversity policies of prominent North American institutions and organizations and analyze them against the backdrop of the actual diversity in the institutions and organizations. Professor Barnes-Drummond is a strong advocate for Human/Women’s Rights, and Social Justice. Her knowledge and critical assessment of Canadian Human Rights and labor policies in the global context was instrumental in the progression of discussions at international conferences. She networks with different international and ethnic community members and leaders to enhance relationships and understanding. "Success is not measured by the position one has acquired, but by the obstacles one has to overcome"
"Success proceeds meaningful management of time and energy. Precision in goal determines the level of success"